Founded in 1995, Pimsoft is a private company headquartered in Turin, Italy with satellite offices in Milan, Rome and Houston, Texas. Pimsoft’s Sigmafine solution is an enterprise-wide software platform that improves and sustains data quality for process and manufacturing industries. The company employs more than 70 professionals, engineers and IT specialists. 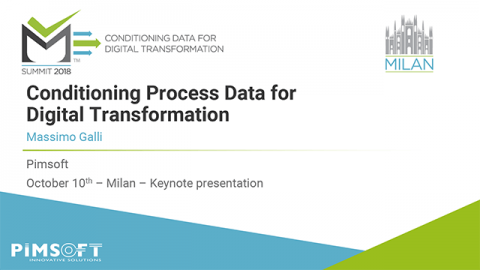 Because process and manufacturing operations produce an ever-increasing amount of data, poor data quality affects critical decision-making and, ultimately, an organization’s bottom line. At Pimsoft, we are in the business of generating value for our customers by ensuring consistent accuracy and usability of process and manufacturing data. Our customers can fully trust their data for action. 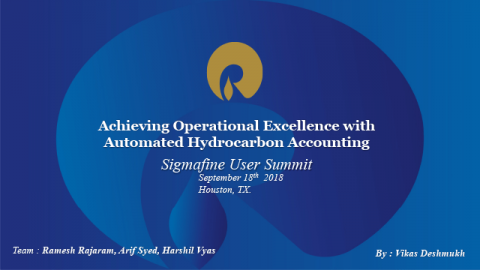 Sigmafine is a state-of-the-art platform for validating, reconciling and organizing information according to each customer’s operational and business requirements. We bring the expertise and services required to implement and maintain a complete data governance framework for complex process and manufacturing operations. Ensuring the highest standards of data quality is our core technology, competency and expertise. RUN The Sigmafine server runs the recurring and repetitive processes associated with detecting bias and gross error. The system provides the best possible estimators for a given measurement system. 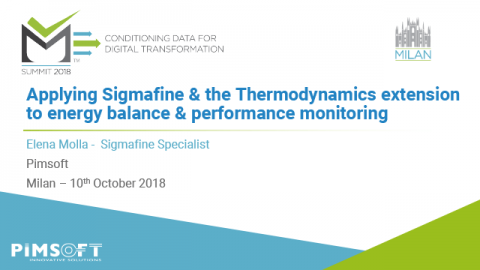 USE The Sigmafine system is complemented by a set of tools that address both the data quality governance process and data utilization and usability. EXTEND Sigmafine systems can be extended to address industry or domain-specific data processing requirements such as hydrocarbon calculations, LPG & LNG calculations, energy calculations, thermodynamic calculations, and so on. INTEGRATE The Sigmafine system fits in place thanks to integration technology that handles both data collection and data integration across the enterprise. Pimsoft and Sigmafine have a successful 20-year track record that includes a broad installed base around the globe, across multiple industries and solution areas. Currently, there are more than 180 active Sigmafine systems worldwide.